Is Pluto still a planet? 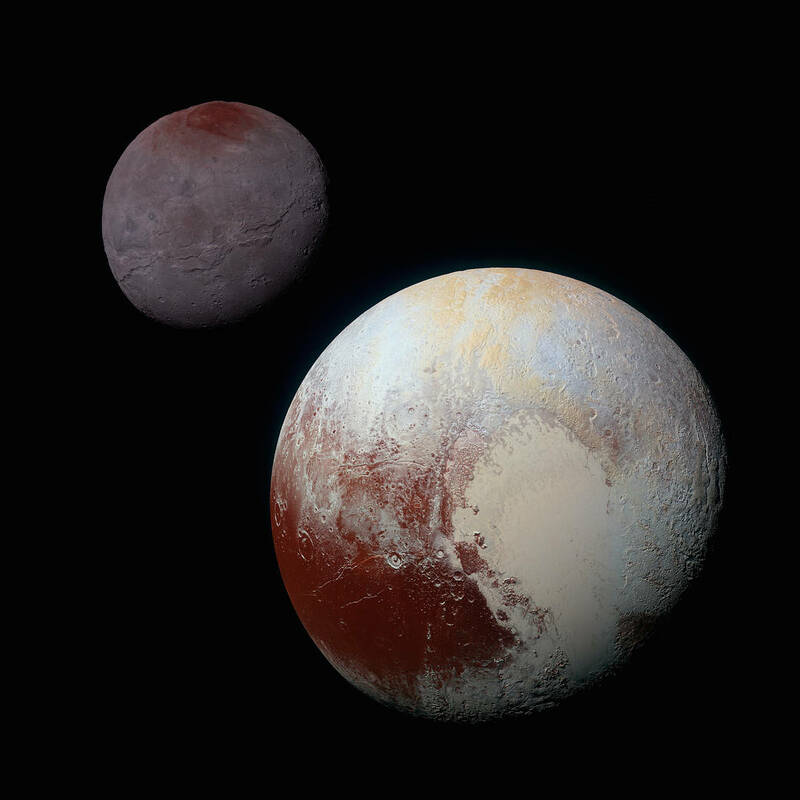 Pluto and Charon as seen by New Horizons. Credit & Copyright: NASA/New Horizons. How can astronomers decide if Pluto is or not a planet? Thank you for your question. It is one that often comes up, and hopefully my response will clarify Pluto’s status. The short answer is no, Pluto is no longer a planet. It is now classified as a type of object called a dwarf planet. The reason why Pluto was demoted is the fact that starting in the 1990’s, a lot of objects were discovered near Pluto that were similar in size to Pluto. A similar thing happened to Ceres in the 1800’s (check out this link if you want to learn more about Ceres’ story). The key discovery took place in 2005, when an object called Eris, which is actually more massive than Pluto, was discovered. 3) It must be by far the largest object in its neighborhood of space. Pluto passes the first two requirements, but fails the third. Therefore a new class of objects, called dwarf planets, was created. These objects orbit the Sun and are round in shape, but are not by far the largest object in their neighborhood of space. This is why Pluto is no longer a planet and is called a dwarf planet. Other dwarf planets include Ceres (target of the Dawn mission) and Eris. However, it is important to note that what we call a planet versus a dwarf planet is just a way astronomers classify objects, and in no way changes how scientifically interesting the objects are. Io, Europa, Titan, and Enceladus are all incredibly active and interesting objects, but are not planets because they don’t orbit the Sun. The new images of Pluto from the New Horizons flyby have shown that Pluto is also an incredibly active and interesting place, regardless of how we classify it. I hope this answers your question and clarifies Pluto’s status and what it means. Please do not hesitate to contact me or the Ask an Astronomer page with follow up questions!